So to keep a clean look I built a wooden floor that goes around the box and fits the shape of the trunk. I figured that covering the port like that would effect the sound but not as drastically as it did. I hate to cut a hole in the floor but if that's what it takes to give it room then so be it. But my question is do you guys think if that would really help. In the second picture I drew a line on where I would cut out some of the wood but regardless half of the port would be firing above the wooden floor and the bottom half will be firing under the wood. I want to take out as little as possible but if necessary I will remove more that's shown in the second photo. 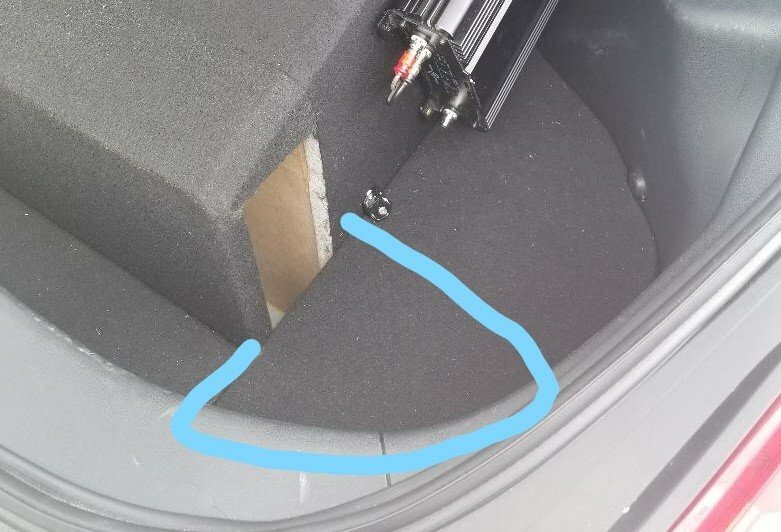 Is it possible to sand a slope/angle into the piece in front of the part? 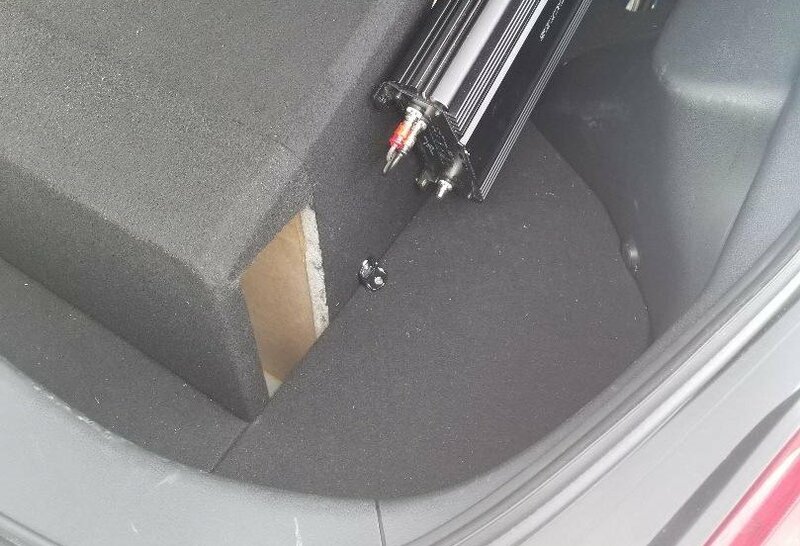 Covering the port will lower the box tuning. A good rule of thumb is to have the port unobstructed the same distance as the width of the port.